original scientific work and applied studies in marine biology and conservation. 2 (two) years, 4 (four) semesters, 38 weeks of full-time study per academic year, 120 ECTS. University Higher Education – Masters Level 7 (National Framework of Qualifications, Decree-Law 782/2009, published in Diário da República, 1ª Série, nº 141, July 23th. 6. Transmit and promote scientific knowledge and its integration in the social and cultural context. In accordance with the current legislation (Portaria 401/2007, of Abril 5th and Decreto Lei 64/2006, of March 21st) ISPA recognizes and credits skills acquired in professional and other contexts for academic purposes. Full-time. Two semesters with a curricular component and two semesters of dissertation. 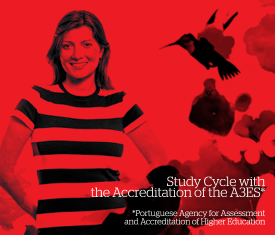 The Master’s degree allows access to 3rd Cycle studies, according to the conditions stated by NARIC (National Academic Recognition Information Center). To graduate the student must complete the 120 ECTS successfully.